South West Specialist Cleaning Ltd, based in Beaminster, Dorset offer a full range of domestic cleaning services and more.With a fully insured, fully trained team of cleaners there is no job too big for South West Specialist Cleaning Ltd. It is our aim to provide you with all the services you need to make your life a little bit easier. 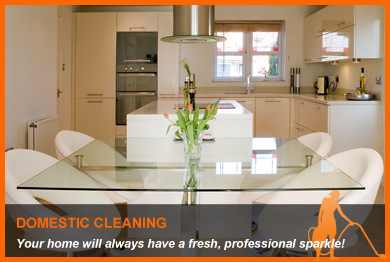 Whether you need a one-off spring clean or regular cleaning services, South West Specialist Cleaning Ltd provide a professional, flexible, competitively priced service to suit your individual requirements. Regular domestic cleaning services can be organised around you: daily, weekly, fortnightly, monthly or at any interval you require. We can provide special event preparation or clean-up, spring cleaning, move out/move in cleans, holiday home cleaning and management, etc. As well as general cleaning we offer window cleaning, carpet cleaning, gutter cleaning and laundry and ironing service, and if you require help with any other domestic duties such as gardening, shopping, house sitting, etc, we will also be very pleased to help. If we appear not to be offering the service you need please call us now to discuss on 07852 758936 or email us with your needs. We cater for the needs of homes and families throughout West Dorset (Bridport, Beaminster, Lyme Regis, Dorchester, Weymouth, Portland), East Somerset (Crewkerne, Yeovil, Chard), East Devon (Seaton, Axminster, Honiton). If you are looking for a cleaning company that you can trust and rely on then South West Specialist Cleaning Ltd are the best choice for you. This fully insured, professional, family run business works to the highest possible standards letting you relax safe in the knowledge that your home will always have a professional, fresh sparkle!